Do you secretly resent fursuiters, and wish they'd all just go away? 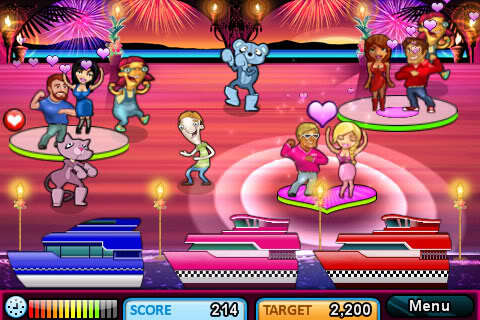 You might be in the target audience for new iPhone game Hottie Hookups. Players must link together "hot" singles to form couples, wait for them to get sufficiently acquainted, then drag them to the waiting taxis. Couples must be protected from a variety of nerds, cougars (not the furry sort) and the aforementioned fursuiters, who must be tossed offscreen or dragged to the school bus. Alas, the slow-moving furries — who appear to be using rental-store costumes — are only worth 10 points. If this is worth $1.99 to you, you can get it from the App Store. Uh, oh. Either the fandom will laugh it off, or make a bid deal out of it. As for myself? I find it funny. My god you people can predict the fandom so accurately. That's like saying a coin flip will either be head, or tails. As for myself, I am laughing. Not because it makes fun of 'the furries', but at the irony that the person who programmed this falls under the nerd category of this game. I mean, programming an Ipod game pretty much makes you one of the nerds. So in the end the nerd is making money of the anti-nerd sentiment (even if it is in a parody format). It's a win win. I'd be terrible at this game. I'd be trying to help the nerds and the furries find love. The nerds look like they're having more fun.